New years is such a fun and refreshing time of year. Amidst the celebrating, gold décor, and the festive tulle skirts that were oh so popular this year came a new tradition in this Huyler household: goal setting. I have always intentionally not set “resolutions” at the beginning of the year because I think its such an emotional decision done in the excitement of the moment (note: not all resolutions are such, but honestly, we’ve all done it). However, this New Year came at a time for Ryan and I that seemed fitting to make some lasting goals. We decided to each make a few personal goals and one goal as a couple for the coming year. My personal goals included budget setting for the household (which was big for us since I will not be working after the end of January), sticking to our somewhat childish, yet highly effective chore chart, and making sure Ryan has at least lunch and dinner made for him everyday. 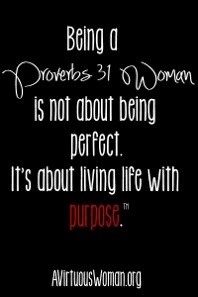 Lastly, and most importantly, my personal goal was to really drive deep and land hard in Proverbs 31. I want to make a decision everyday that this is to be my life. At the beginning of each month I will be posting on a verse or small cluster of verses that I am focusing on for that month within Proverbs 31. I know that through blessing my sweet hubby’s life, I myself will be richly blessed. So for today, since I am already a few days behind on this post, I’m starting from the beginning..